So valentines day was fast approaching, and I needed a truly awesome idea to wow my partner with. We are both huge fans of Studio Ghibli (A Japanese animation house, which if you haven’t heard of, you need to!). It is something we bonded over, and our dream honeymoon is to japan to visit the Studio Ghibli museum and all of the wonderful locations that inspired the films! So I decided to do a Ghibli inspired card. I had to do a bit of creative re-imagining, and I am going to talk you through how I did it! -Pastel Coloured Beads, Buttons, etc. First you will need to cut out all of your shapes. 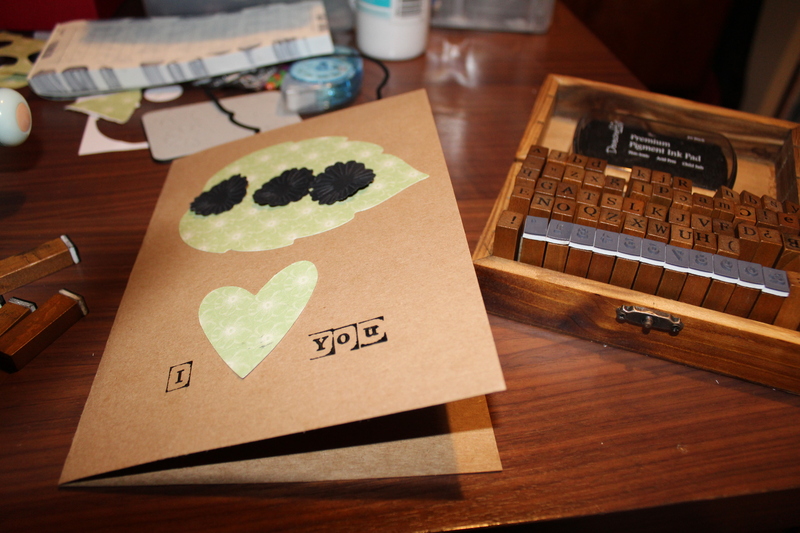 Both the soot sprite and the heart were from dies that came in a starter pack with the die cutter, whilst the leaf shape was from a set of nesting dies by X-Cut. The heart is not a necessity, you could just draw it on to the card as it is only a guideline, but I like the security of assembling the heart before I stick it onto the card – that way, if it does go wrong, I haven’t ruined the whole card! Now. at the moment, the little black flowers just look like blobs. 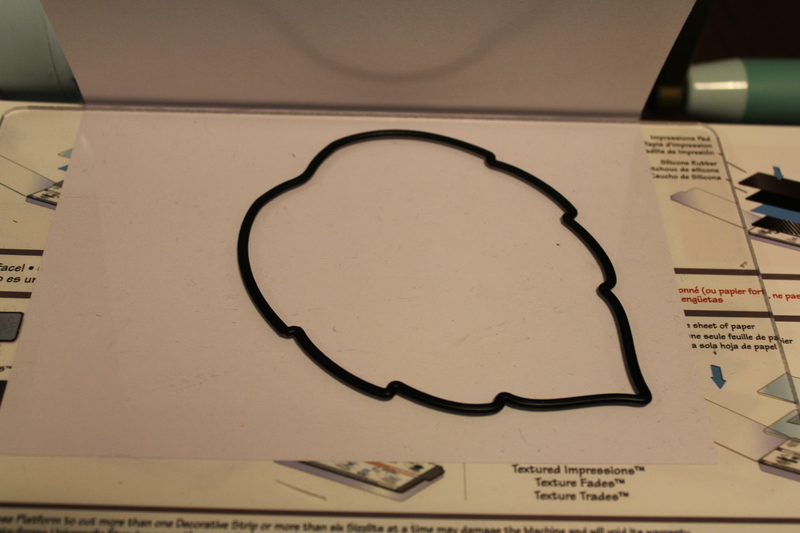 We need a little ingenuity to turn it into a soot sprite. 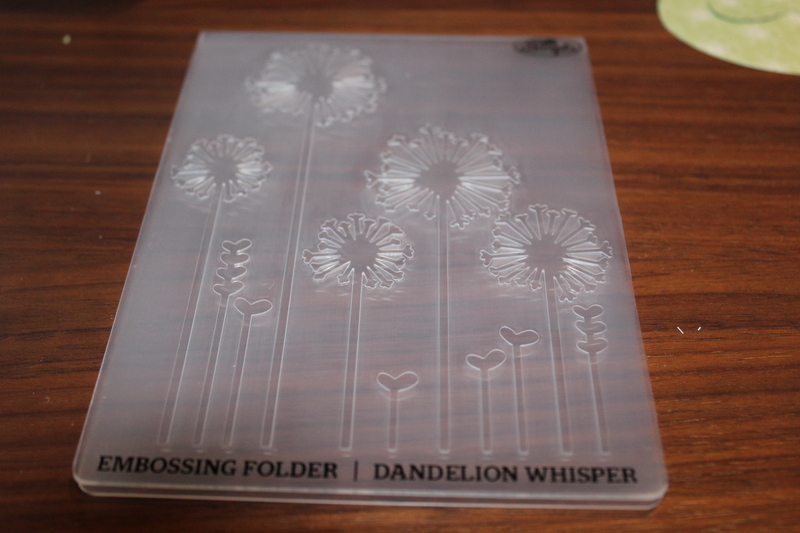 Luckily I had a lovely dandelion embossing folder which was the perfect size for my flowers. 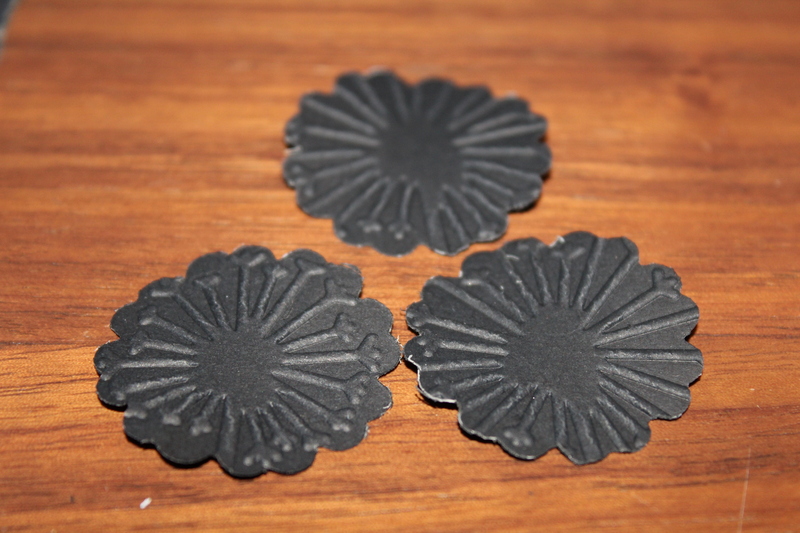 I lined up the flowers with the center of the embossing dandelion. 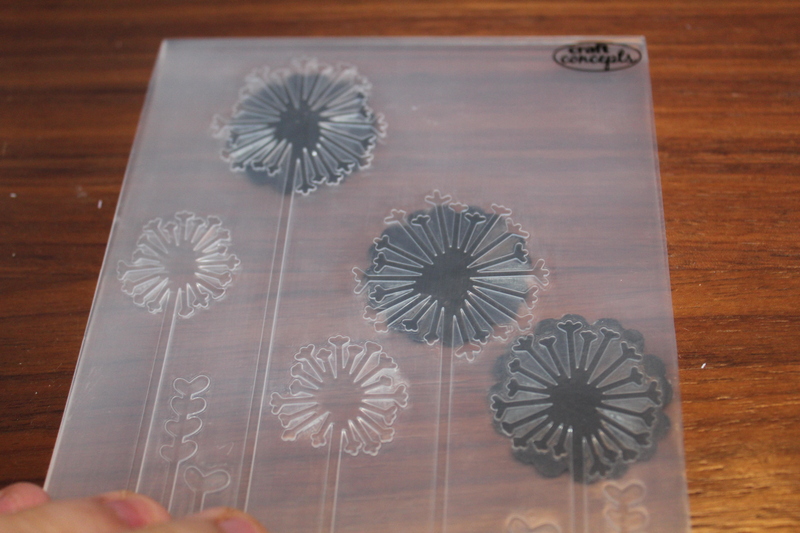 Give it a quick whirl through the die cutter and the result is a more 3 dimensional flower – the spokes of the dandelion creating an almost explosion from the center, much like the lines of a soot sprite. 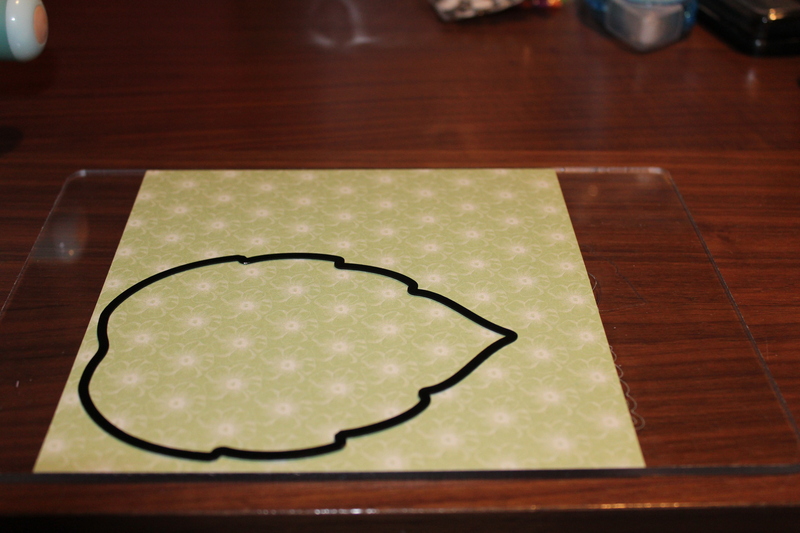 Now we can attach the leaf to the card and the soot sprites to the leaf! We can then stamp on the sentiment. 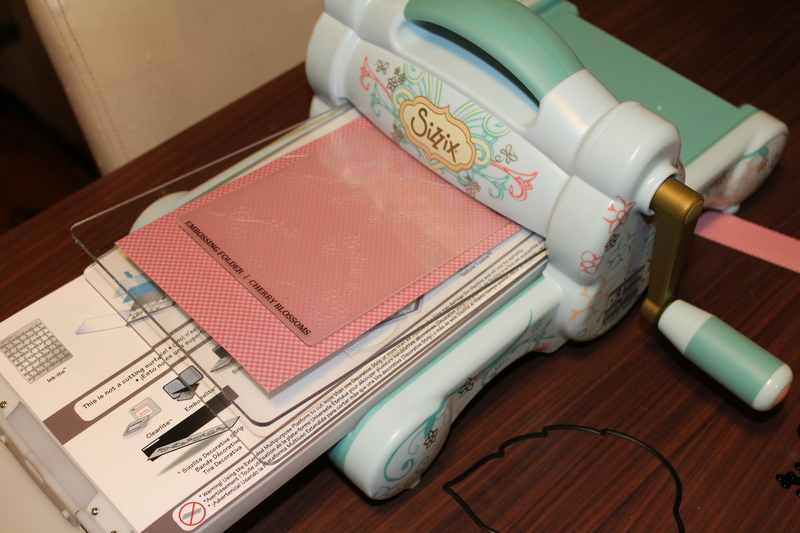 Lay the heart onto the card so you can accurately place the stamps. Some people may not like the outlines to the letters, but personally I like it – I struggle to use these particular stamps and get clear outline free letters and the uncertainty means it could ruin the card any moment. So I like to emphasize the outlines instead – gives it a bit of an edge ya know? 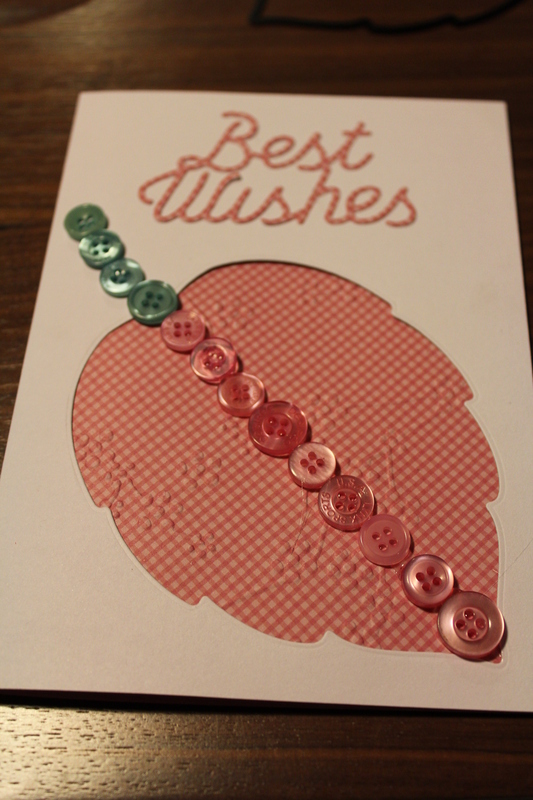 To finish this card, its just a matter of embellishments! 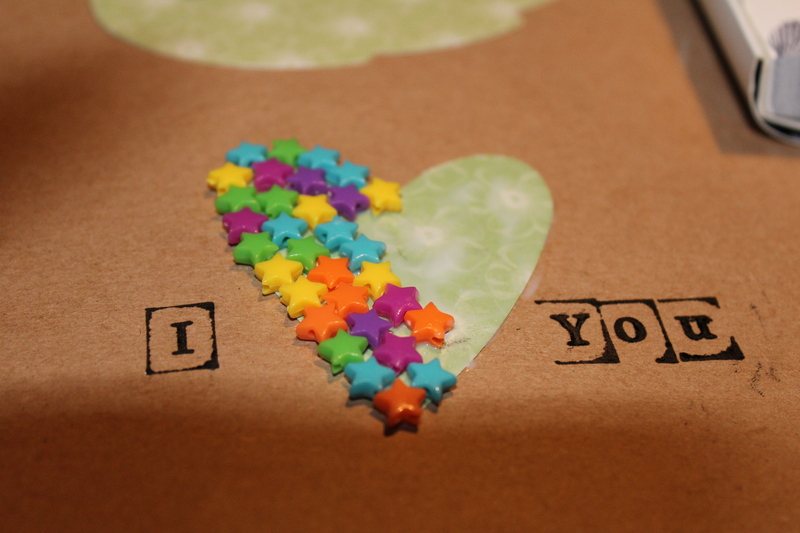 Add some googly eyes to the sprites, and add your little stars to the heart. 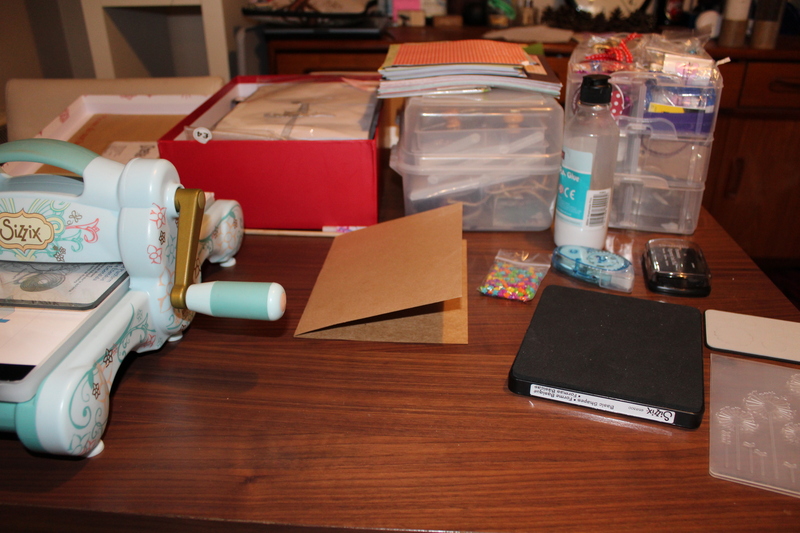 I found it easiest to use PVA. 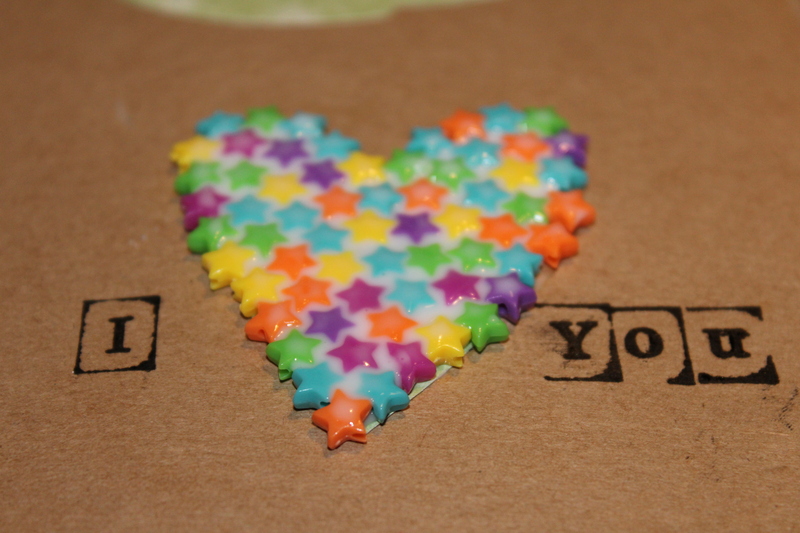 I painted the PVA onto the heart and filled it with stars. 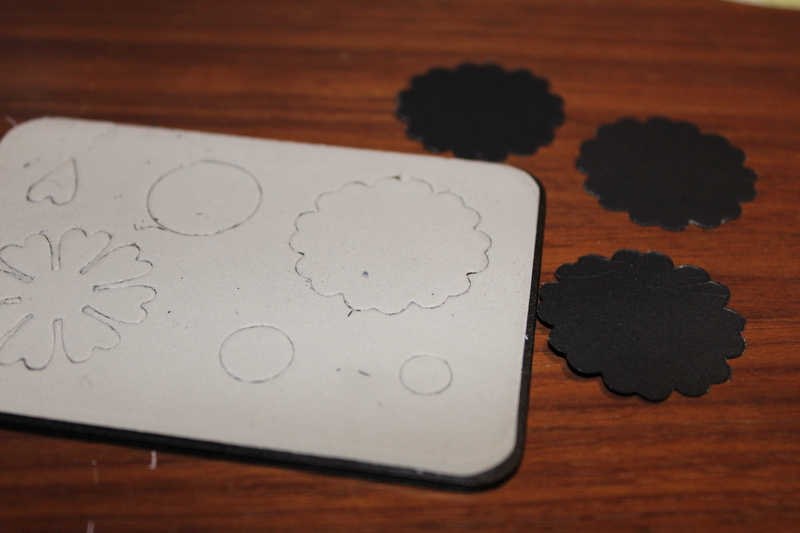 I then painted glue over the top of the stars to fill the little holes between them and give it a bit of solidarity. When it dries it will be clear and shiny! So there you are! 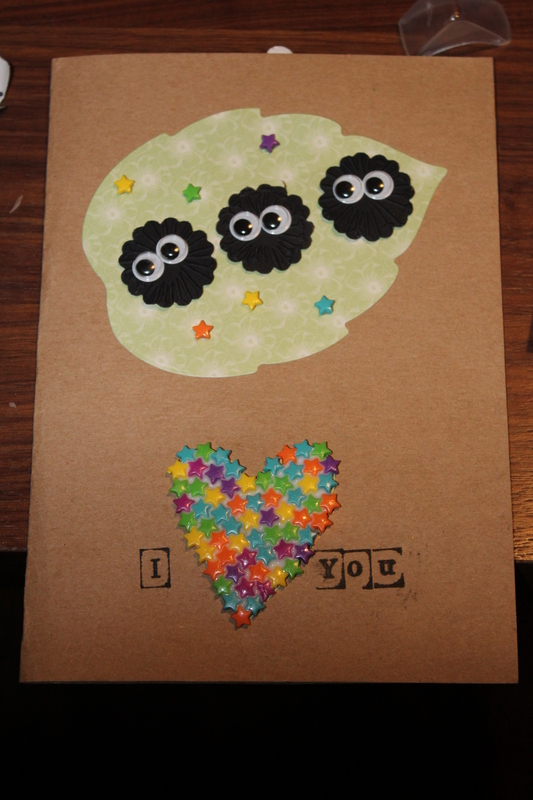 One Spirited Away valentines card! Needless to say – my other half loved it! Best Valentine Card EVER! Lew me know what you think! Here is a card I made for my beloved Nan, for her birthday. 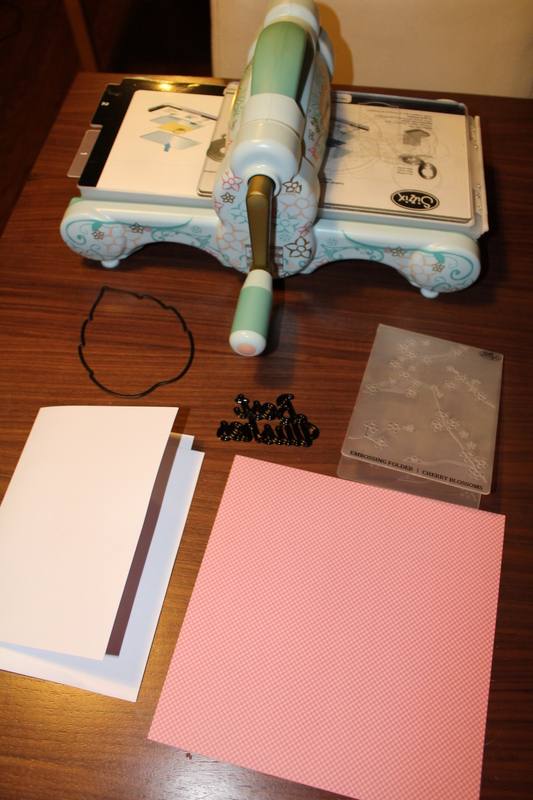 I first used my embossing folder (i used a cherry blossom pattern, but you can use whatever you like) to put a pattern into my gingham paper stock. 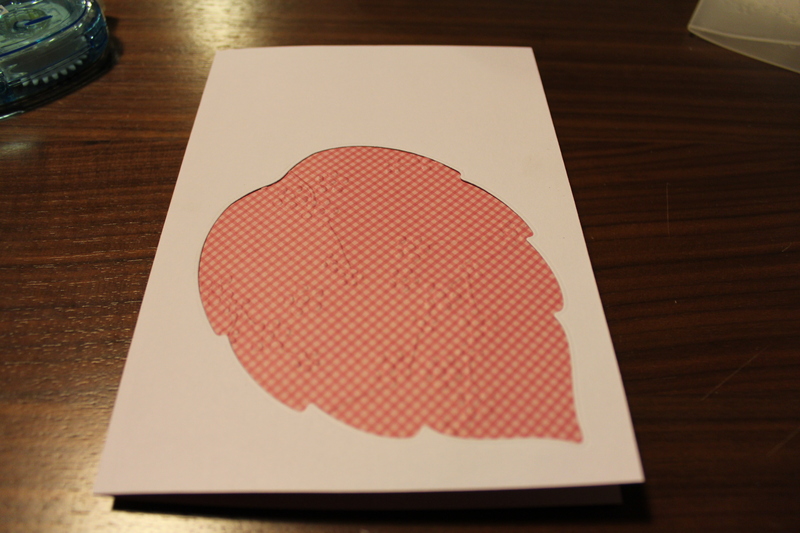 I then used the largest of my leaf dies to put a hole into my actual card. 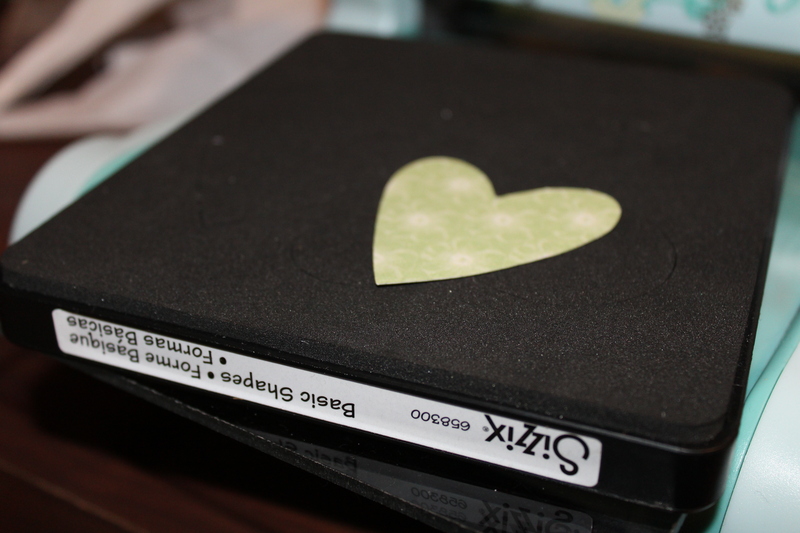 I then took my sentiment and cut it from the same paper that I had previously embossed. However, you must make sure you have enough card left to cover the leaf you have just punched out of your card. Line this embossed piece of paper stock up with your leaf and stick it on the inside of your card, so that the pattern shows through the hole you previously made. Now stick down your sentiment, and embellish with buttons. So, what do you think. I had trouble with the sentiment die, as it was so fiddly, and I didn’t have any glue applicators with enough precision. If you have any product suggestions, do please leave a comment! I really would love to hear your ideas!